Just weeks after the federal government passed the largest tax reform overhaul in three decades, known as the Tax Cuts and Jobs Act, the effects are already being felt in the offices, boardrooms, warehouse aisles, and pocketbooks of executives, middle management, and even hourly wage workers. After cutting the corporate tax rate from 35% to 21%, it was an unknown what the corporations would do with this new-found capital, but the answer is becoming clearer with each passing day. As of January 26, at least 39 companies in the Standard & Poor’s 500 index (made up of 500 of the nation’s largest companies) said they are providing financial rewards to workers as a direct result of the tax reform bill. While this reward is mostly in the form of one-time bonuses, hourly wage increases and bigger 401(k) contribution matches have also been implemented. 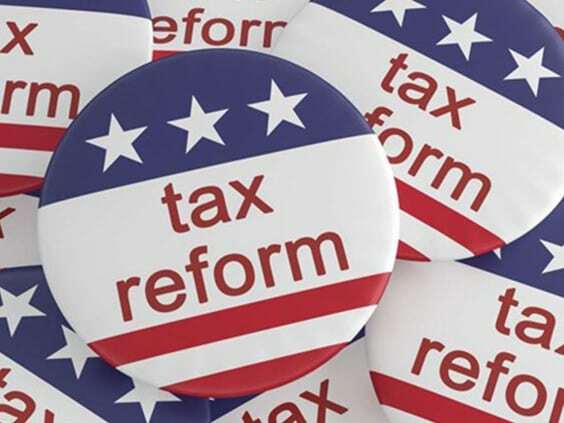 One of the most obvious impacts of 2018 tax reform is that companies are jumping on the tax cut bandwagon left and right, executing changes that have an immediate impact on their stockholders, employees, and customers. 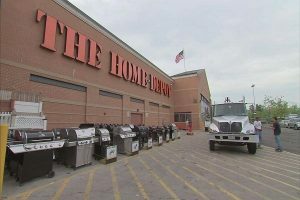 Home Depot has joined the ranks of Apple, American Airlines, AT&T, Walmart, Southwest Airlines, JP Morgan, Jet Blue, Fifth Third Bank, and Starbucks by awarding hourly employees up to $1,000 bonuses (the bonuses of some mentioned top off at $2,000!). View the most current list here. DTE Energy’s gas and electric customers can expect to see their rate drop by about 3 percent, resulting in a savings of nearly $190 million to be passed on to customers in 2018. Both Fifth Third Bancorp and Wells Fargo said they plan to raise their minimum wage to $15 an hour. Fifth Thirds said it will also give workers a bonus, and Wells Fargo said it would give $400 million to nonprofit organizations next year. The short-term effects of the 2018 tax reform on corporations is pretty clear, but how does this tax cut adjust long-term strategic planning across the board? That’s where things really start to get interesting. From a US perspective, reinvestment in corporate infrastructure will be the key gauge to keep an eye on in the coming months. Will these major companies reinvest in their own businesses? Will these companies invest this newly found stream of capital into projects that boost our domestic economy? While the new tax law will have significant effects on corporate finances, the ways each company and industry reacts will vary greatly, making it difficult to predict what’s going to happen down the road. To see substantial benefits from the tax cuts we will need to see renewed investment in factories and equipment domestically that was not previously planned without this corporate tax cut. We will also need to see companies bringing back production to the US instead of other global alternatives. Therein lies the rub. The benefits to small business aren’t quite as well communicated or understood by business owners. Understanding the exact dollar amount they will receive as a result of the tax reform is going to take a little more time to quantify as small business owners wade through the complex changes. Under the new plan pass-through entities (profits pass through to the owner), S-corporations, sole proprietorships, or partnerships, and limited liability companies (LLC) will be able to deduct 20% of qualified business income. The new-found profitability for small businesses could lead companies to hire more workers or invest in new property and equipment. But unlike many larger corporations, this capital hasn’t been clearly explained to many small business owners due to the complexities from the change in tax law. So, while many large-scale companies were able to begin divvying up the influx of capital at the word go, it may take small businesses a little more time to understand the real benefit and how best to invest it, including one-time bonus much like the larger companies. For the remainder of 2018 and well into 2019, small businesses are going to continually experience the impacts of this tax reform. Now more than ever, it’s going to be important to keep the conversation going with your CPA and trusted financial advisor. As the true benefits of the tax changes reveal themselves over the coming months, "business as usual" is going to become a thing of the past. Get yourself and your business organized now, so if and when you receive that influx of capital, you feel confident know exactly what to do with it. At Kroon and Mitchell, we are encouraging all our small business consulting clients to take the time to re-think their tax planning and better understand how new tax alternatives and strategies will impact your business, especially during this time of uncertainty where new and exciting opportunities are just around the corner.